Following a paleo plan doesn’t mean that you’re forbidden to eat treats and the things you love. In fact for me it has meant still eating those treats, but discovering new ingredients and getting my domestic goddess on in the kitchen to turn them in to clean treats. The biggest bonus by far though is the fact that you can eat these cookies without that awful guilty training-down-the-drain feeling afterwards that so many of us fall victim to when we decide to treat ourselves. 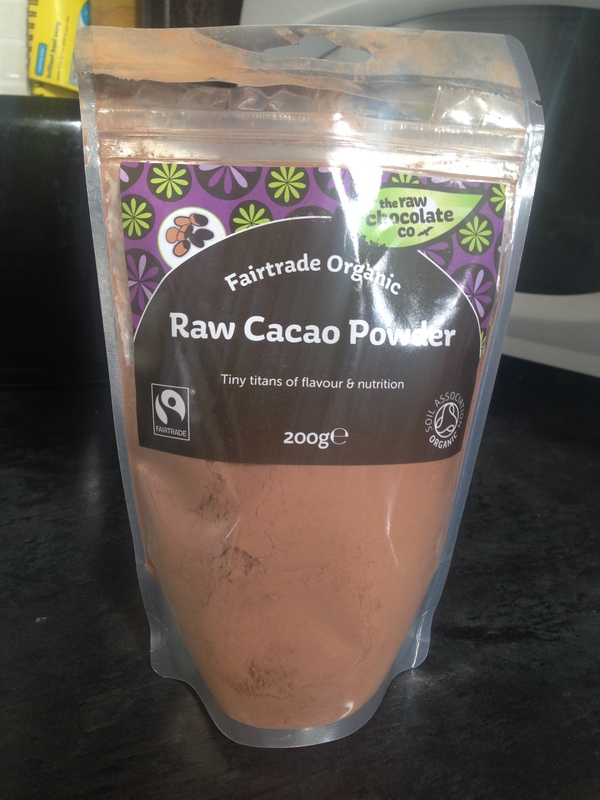 My Instagram feed is full of fitness posts and for AGES now I have been on the hunt for cacao powder to make some of the treats I have seen posted on there. I stumbled across this organic bag in my local health food store near where I work (I’m in there most days so I’m not sure why I hadn’t spotted it until now). 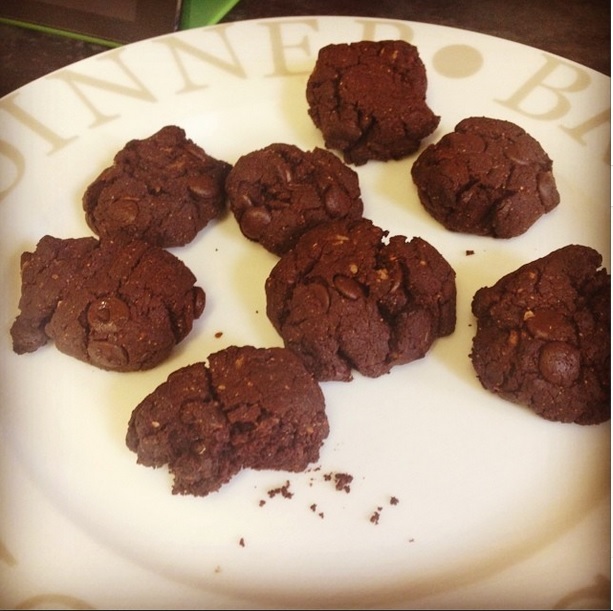 I decided to make cookies – although I use the term cookies very loosely as they turned out to be more like chocolate chip balls then cookies. – Firstly, preheat the oven to 180 degrees and line a baking tray with greaseproof paper. – Next heat the coconut oil and honey in the microwave for about 30 seconds until they have melted together. – Add the almond butter, coconut oil, honey and whisked egg in to a bowl and stir together until thoroughly combined. – I used my hands for this next stage as it’s just easier for combining the ingredients. Add the baking powder, cacao and coconut gradually until it is all combined. The dough should be pretty thick at this point which is how we want it. – Finally mix in the chocolate chips. – Bake in the oven for 15 minutes and then take out to cool. As tempting as it may be to tuck in to one whilst they’re still warm try and leave them until they have really cooled down as they will still be fragile.